The positions expressed here are the author’s personal views. They do not represent the U.S. Naval War College, Navy, Department of Defense, or Government, and do not necessarily reflect the policies or estimates of these or any other organizations. 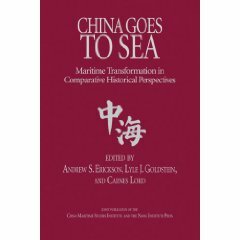 Even as the United States and China are more economically interdependent and closely connected than ever before, remaining differences in history, political systems, and national interests regrettably stoke enduring strategic tensions. In an effort to further its positions unilaterally, China is developing an impressive range of anti-access/area denial (A2/AD) systems to increase its ability to hold at risk U.S., allied, and friendly military platforms, and their supporting assets in space and cyberspace, should they attempt to operate in contested air and maritime zones along China’s periphery in the unfortunate event of conflict. Operationally, this is an adroit approach for Beijing: A2/AD affords China a defensive posture along interior lines. There the People’s Liberation Army (PLA) can mitigate ongoing limitations in jointness and challenges in command and control and target deconfliction by employing land lines, high-powered line-of-sight communications, advanced planning, and geographic and temporal segregation. This limits its reliance on space-based C4ISR (command, control, communications, computers, intelligence, surveillance, and reconnaissance) systems, even as it is rapidly developing and deploying them. Strategically, however, Beijing’s efforts have produced great concern throughout East Asia, and threaten to destabilize the peaceful environment that has supported unprecedented regional prosperity since the end of World War II, including that of China in recent decades. 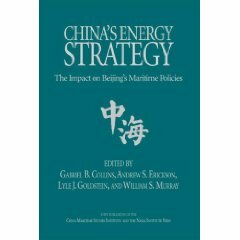 To preserve its ability to protect this security environment, the United States must maintain its ability to hold Chinese military assets at risk—not with the goal of attacking China or constraining its development, but rather to deter it from using military force, or the implicit threat thereof, to change the status quo and thereby destabilize the world’s most dynamic region. In accordance with this goal of standing firm while avoiding dangerous escalation where possible, the U.S. should focus particularly on reducing its vulnerability to China’s A2/AD efforts. In the long run, this combination will be the only way to maintain regional stability and further the interests of the U.S. and its allies and friends (the latter of which should include China in many respects) at an affordable price. 1. Shift to less-manned and unmanned systems, which – while they face limitations given current technologies – can already be smaller, cheaper and more disposable; enabling better persistence, maneuverability and tolerance of losses. Personnel costs absorb an ever greater proportion of the U.S. military budget, making it extremely important to limit reliance on manpower wherever feasible. 2. For a limited number of relevant applications, consider shifting at least some operations from large, tightly-grouped targets — e.g., a Carrier Strike Group — to smaller, dispersed, networked elements. 3. Move from the sea surface to the harder-to-access undersea – and in some cases air – realms. Space, by contrast, is expensive to enter, hard to sustain assets in, contains no defensive ground, and – barring energy-intensive maneuvering – forces assets into predictable orbits. Moreover, some of the most debilitating asymmetric tactics could be employed against space and cyberspace targets. 4. Substitute passive defenses — e.g., dispersion of assets, reinforced concrete — for active defenses such as missile defenses, in contexts in which this is cheaper and/or more effective. Let me clarify two major points that I was unable to elaborate on at the time because of space limitations. I hope to give these issues the detailed attention that they deserve in future research. First, the sentence on “personnel costs” merits a separate bullet. Managing such expenditures will be one of the foremost challenges in sustaining a strong, effective, and affordable U.S. military in coming years. The same is true for the rest of the U.S. federal government, and for state and local governments. In a “grass roots” decentralized sense, this will be vital for the U.S. private sector as well. These challenges are common to developed societies around the globe, and will affect China itself increasingly in the future. But shifting “to less-manned and unmanned systems,” while offering many potential benefits, will not automatically reduce personnel costs—these are separate ideas. As experts who are already dealing with these issues often emphasize, “unmanned” systems are not truly “unmanned”—they simply employ and are controlled by personnel remotely, rather than aboard. Indeed, they may take more people to operate overall than a manned system in some cases. As with most things, less-manned and unmanned systems are not a cure-all. They lack the advantage of a “man in the loop” to make critical observations and decisions on-location, may suffer from data limitations and vulnerabilities, and may even cost more than piloted systems in some cases. But given their potential advantages in operations and disposability, and possibly in cost as well if built to the “knee of the curve” instead of to ideal specifications, such systems will become an indispensable item in the “toolbox” of U.S. platforms to maintain presence, C4ISR, and operational capabilities in a hostile A2/AD environment. Second, and even more importantly, “space” merits a separate bullet. Like less-manned and unmanned systems, space-based platforms are not a panacea. Space-based platforms should not constitute a disproportionately-increased share of newly-developed assets. For the foreseeable future, however, space will remain indispensable for a variety of reasons. There are many military functions that are best performed from space, particularly to support C4ISR and long-distance power projection. Moreover, space assets can be made more reliable by deployment in smaller packages and dispersed networks as small- and micro-satellites, an effort that the U.S. is already working on and China is pursuing intensively. These types of satellites have lower unit costs, and hence the loss of a given platform could be far less devastating than that of a “Greyhound bus-sized” large satellite. This, coupled with rapid replenishment, could greatly enhance survivability and reduce incentives for attack. The United States, and particularly the U.S. military, should thus NOT remove assets from space or otherwise decrease its presence there—it should rather seek both improved space approaches and supplementary approaches in other domains, and not try to increase space-basing uncritically at the expense of other alternatives. To the extent that the U.S. fails to deploy adequate countermeasures, the PLA will increase its ability to hold at risk U.S. military platforms by targeting the satellites that support them with an increasing array of ground-based anti-satellite (ASAT) capabilities (e.g., ground-based lasers and kinetic direct ascent weapons). This would challenge U.S. interests in important areas and might be destabilizing initially, as it could incentivize the U.S. military to hold at risk Chinese satellites as well as supporting and other strategic assets based on Chinese soil and elsewhere. 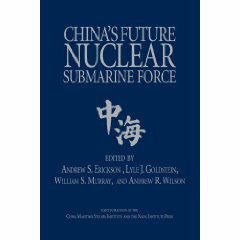 In a worst case scenario, Chinese planners might even regard a conflict’s expanding into space as favoring the PLA, which today could still function (albeit at a reduced level of capability) if denied access to space. As China’s military becomes increasingly reliant on satellites, its own vulnerabilities increase, and the U.S. further develops relevant countermeasures, however, it is likely to become more hesitant to use its improving ASAT capabilities to threaten U.S. satellites. 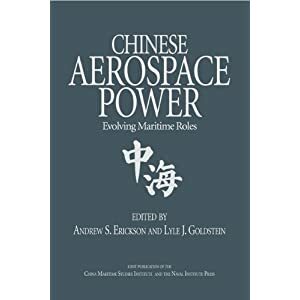 A resulting increase in bilateral surveillance and early warning as well as increased strategic symmetry could thus ultimately enhance the great and growing chances that the two Pacific aerospace powers avoid devastating conflict. China’s military capabilities are improving across the board, with space being a particular “pocket of excellence.” But the United States maintains formidable capabilities here and elsewhere. Despite its current difficulties, it has bright days ahead. There is no need to adopt an “alarmist attitude” that all-out conflict with China is inevitable, or to adopt a “defeatist” attitude that the U.S. has no choice but to abandon its core interests, values, allies, or friends. The U.S. can “win without fighting” in space, by continuing to use it to support military operations, and not accepting limitations on its non-weaponized uses of space to do so. Space is not a sanctuary—U.S. assets there can be attacked by a capable military such as China’s—but China increasingly faces its own vulnerabilities and thus is developing incentives not to attack first in space. Space is thus not a desirable arena of conflict for either great power, and its preservation as a safe environment is in fact in their mutual interest. For the full text of the interview that this post references, see David Axe, “China’s ‘Ripples of Capability’: An Interview with Andrew Erickson,” AOL Defense, 29 August 2011.